My baby grew up on me. Today was a bittersweet day. 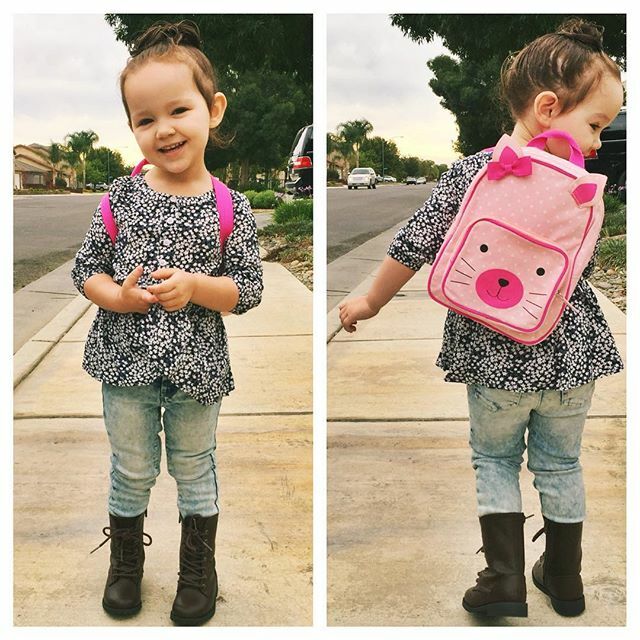 My little Marin's first day of preschool was today. She jumped out of bed, so excited. I put her hair up "like a princess," she always tells me. I drove her to school and she didn't even wait for me to say goodbye, she disappeared into the huddle of little ones. I honestly didn't know what to do with myself. This is a good thing though. She will learn how to play with others, how to write her name, how to be independent. I will learn to trust others with my child, handle time without my baby, and realize that she is growing up. This really is a good thing though. I've thought about how much fun she will have and how much she will learn. I've thought about the extra time I will have now to clean and organize my house, finally get back into a filming routine, and basically just have the time that I need to be active on social media. I mean, look at this, how long has it been since I have posted on here? With Marin in preschool, I'll have a little more free time to post on my blog and my channel, it's a win-win. Still, I am a little upset at how quickly she forgot about me when I took her to school. She was so excited to show me the apple that she made today in arts & crafts, so I guess I can't be too upset. She was loving the camera today! I actually picked up her entire outfit, backpack included, at Target.